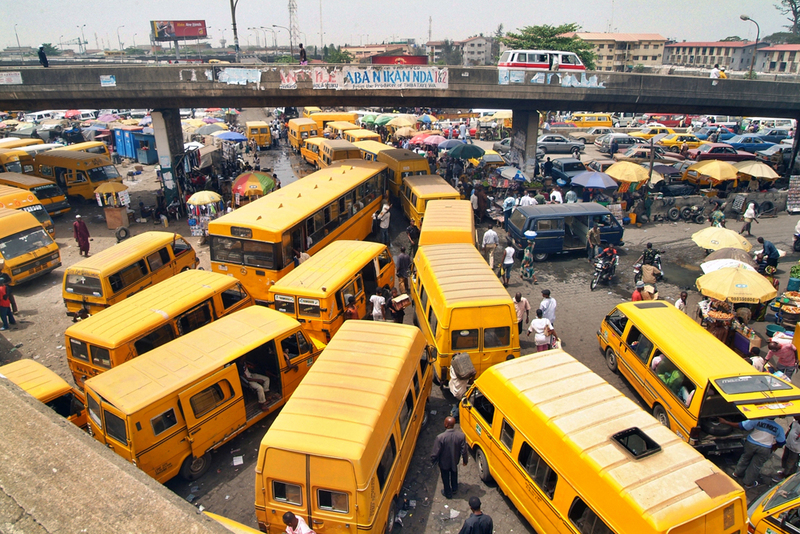 These are some of the calls you hear when you are at motor parks in many cities in Nigeria. For the most part, these calls are not made by bus conductors as they are popularly referred to. They are made by young men – agberos if you may – hanging around such parks. Young men find popular motor parks – whether official or otherwise – and loiter around calling out destinations to would-be passengers. When they fill up a car, the driver tips them with some money, ranging from ₦20 to ₦100; depending on the location and how much is charged per passenger. These men repeat the cycle as they make their daily keep. In any given location, you usually find two, maybe three men acting as mouthpieces of the drivers. They chase after commuters and generally serve to ensure each car fills up in quick time. Every minute wasted is a minute where they don’t make money. The longer they spend filling up a car, the more likely they lose out on other cars trying to get passengers. And no one wants to miss that ever crucial ₦20 or ₦50. Over the last few years however, I have noticed that the number of men at any given park have more than tripled. And beyond that, the number of spots where you can find these men has increased. In the past, these men could only be found at major transportation parks or bus-stops but now, you can find them at small junctions. What is with the increasing number of agberos in our communities? This can be partly blamed on the rate of unemployment in Nigeria, which is pegged at 14.2%; a figure quoted in the most recent National Bureau of Statistics (NBS) report. The negative economic growth and recession which Nigeria is just coming out of took its toll on many citizens and can be said to have played a role in increasing the number of these unemployed men. But that isn’t the only problem. Many of these men are uneducated and are not qualified for anything more than unskilled labor. So what happens when there are no jobs for even the unskilled and uneducated? The number of agberos increase. They seem to be crawling all over themselves in an attempt to get more money; which is expected really. And funny enough, there are times when the drivers do not want their services. They specifically tell them not to call anyone. Do they listen? No! They literally just do what they want and stand around waiting to be ‘paid’. Sometimes, the drivers feel bad and give them a little tip. Other times, the drivers refuse to enable their truancy. When this happens, the agberos usually go into a tirade and sometimes bang the cars. In many of these instances, a physical altercation is almost always the end result. But drivers try to avoid that because they know that it would be a case of mob violence. What makes this worrisome is that it isn’t only young men that do this. At the Jikwoyi Phase 2 Junction in Abuja, there is an old agbero who calls out destinations for Keke (tricycle) riders. They call him ‘Police’. This man must be in his sixties or seventies. It is either that or he has suffered a lot and life has aged him beyond his years. He looks haggard as he shouts out destinations, urging passengers to get into the Keke with their change. When he is done, the Keke driver usually gives him ₦10 or ₦20; depending on how generous they are feeling. It breaks my heart to see that old man at the junction every day and night. Well…it did until I walked past him one evening and his smell hit me; he was reeking of cheap alcohol! From my deduction, the old man spent whatever he made drowning himself in alcohol. This was a man that had given up on life. Like the old man at Jikwoyi, many of these agberos are drug abusers. A simple walk past them can prove that and if that is too much, just watching them ‘work’ is all the proof you will need. They are so excitable, easily offended and quicker even to throw blows. It is no wonder that many of these parks are rings of constant turf wars between the young men and sometimes, with older men. These people need to survive and survival means being tougher, more high-strung, more willing to protect your little turf and being quicker than the next guy. I think these men should be banned by law so they do not take over every little street and corner where people may or may not seek public transportation. But that is not realistic. We need viable solutions that solve the problem in the long run so that we don’t have to return to it in the near future. What should these solutions look like? I think they should be tied to the economic recovery plan of Nigeria’s administration. The government is looking at diversifying Nigeria’s economy beyond an oil-based revenue generation to agriculture. With the wide variety of food and cash crops that can grow in Nigeria, the opportunities in the agricultural sector cannot be depleted. From farming, to processing and distribution, there are millions of job that can be created from effectively drawing up and funding an agricultural road map to success. How do these agberos fit in? Quite simple. The leaders of each local government area and state should recruit these men and train them on the basics of agriculture. The training should serve to separate these men into the categories that they are best suited for and we can begin massive production, processing and distribution of crops and by-products within and outside the country. They can also be co-opted into construction work that should define our infrastructural development. Roads, bridges, buildings, dams, schools, hospitals, well defined markets and more need to be constructed to improve the aesthetics of each of our communities. This is where partnerships with governments and the private sector comes into play. Private companies should bid for these construction projects and then recruit these men to work for them; after some form of training that is. The Lagos state Local Governments has employed some of these men to be tax collectors for the State. It hasn’t completely eradicated their presence on the streets but I think it is a step in the right direction. Internally generated revenue from tax is important for every Local Government Area and State. So, this is a model I think can work across board in Nigeria; after these men have taken lessons on refined behavior I must add. I think these opportunities can reduce or even remove these truant men from the bus stops and motor parks. But then again, that is me being idealistic. We live in a country where basic salaries are owed for months on end by both private and government employers of labor. Our public schools systems cannot be trusted to produce world-class students and the private institutions are mired in corruption or are just too expensive for the average Nigerian. And the economy is hinged on the caprices of the ruling class who spend most of their time in power charting Nigeria’s course to eventual destruction. So there is a whole lot of work that needs to be done before we can realistically see a reduction in the number of agberos in and around our junctions, streets, bus stops and motor parks. Until we fix the gaping holes on this sinking ship we call our country, I don’t think anyone would be worrying about them anytime soon. Thank you Sumon. I appreciate your comment.